The so-called Audi tunnel, the line of the newly built ICE train connection between Nuremberg and Munich crosses a part of the company premises of the car manufacturer Audi underground. 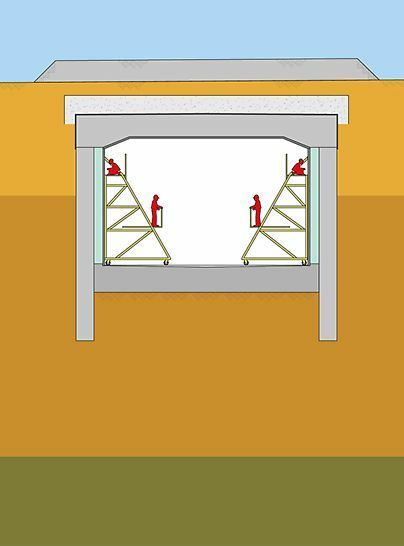 With respect to vibration-sensitive production plants, the idea of a mining-type blasting of the tunnel tube was no option. 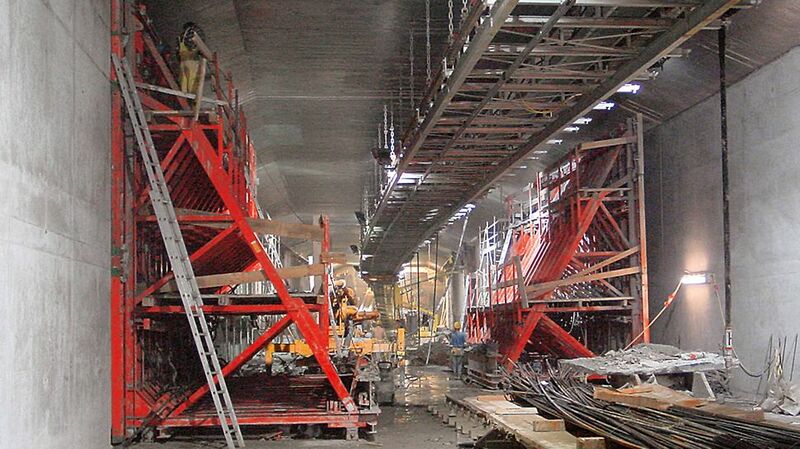 The construction was carried out with the cut-and-cover construction method instead. After the completion of the diaphragm walls and the bottom below ground, the outer tunnel walls were formed single-sided and concreted against the retaining walls. 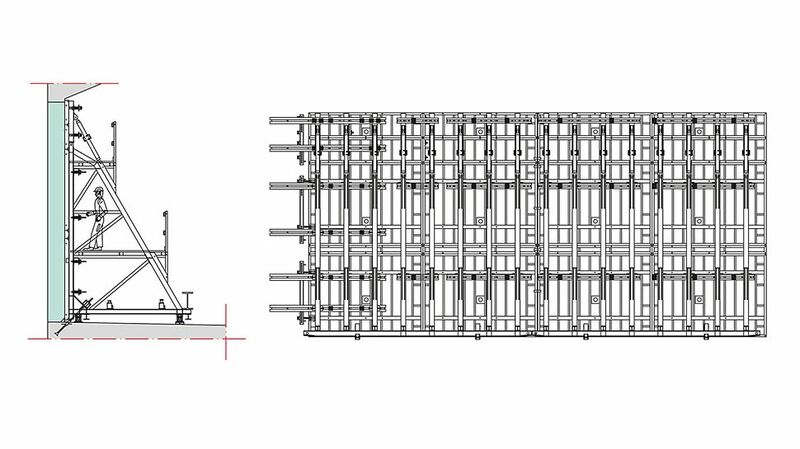 The ARGE, the building consortium, used TRIO panel formwork elements and brace frames in the area of the standard cross-section. 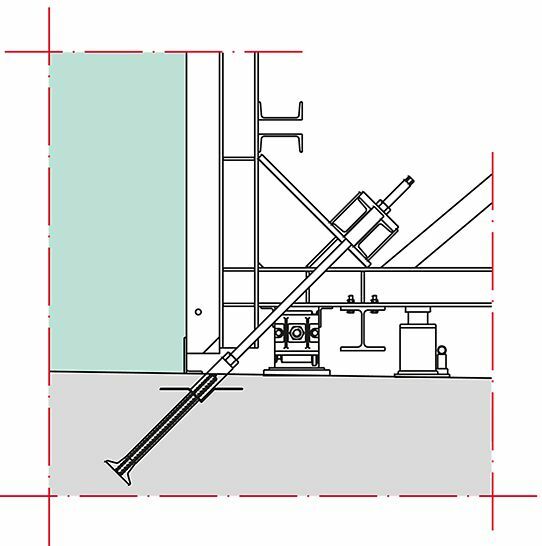 They were produced especially for the requirements of the project. 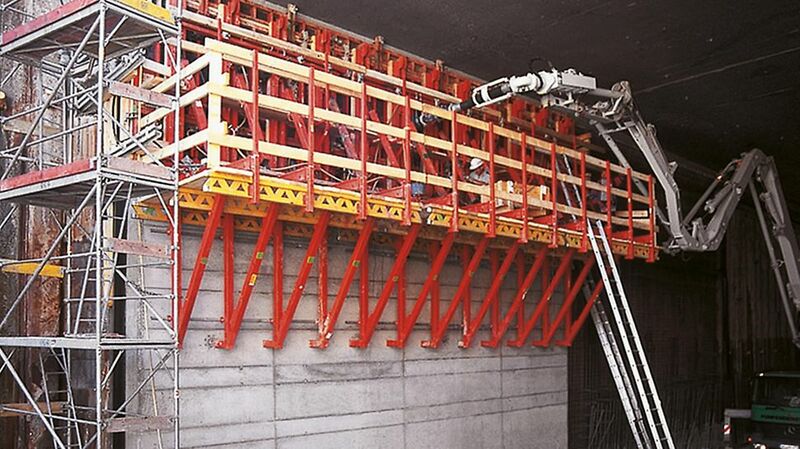 Designed for a concreting height of 6.48 meters, two movable units were connected with a filler plate for a concreting cycle of 10.20 meters length. 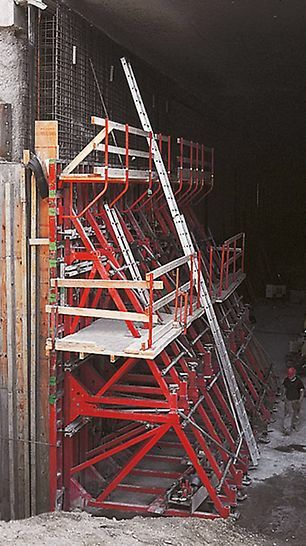 At the beginning, the jobsite team moved the formwork units separately, later however, they moved them in one from cycle to cycle with the help of a puller hoist. 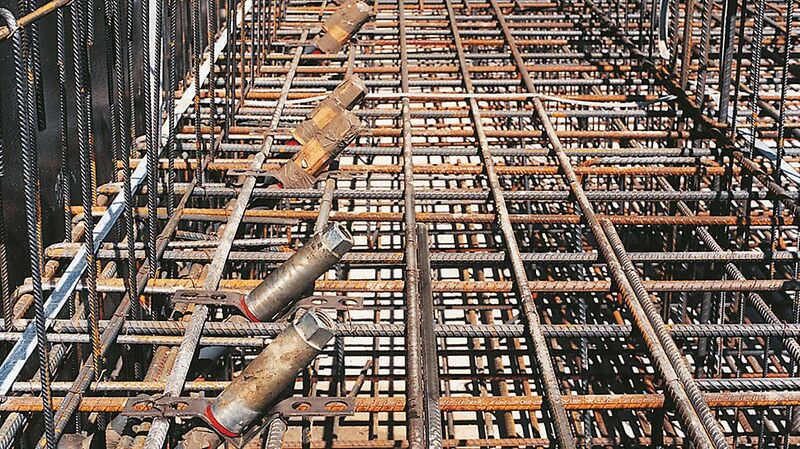 The maximum height of 9.60 meters was concreted in two steps. 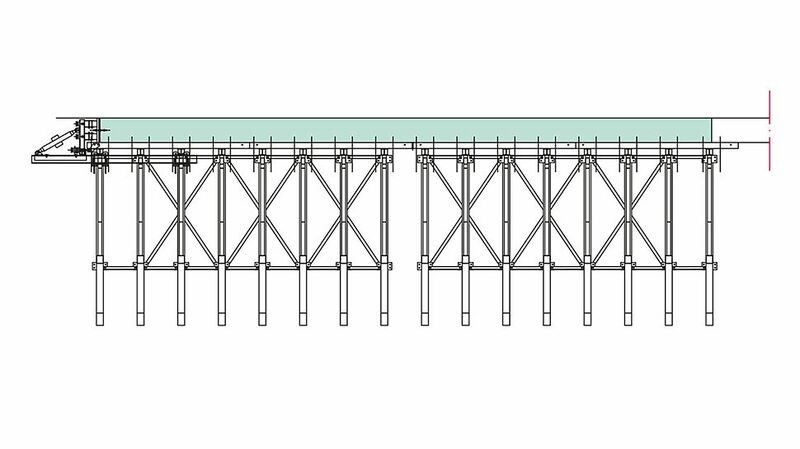 Up to a height of 6.55 meters, brace frames and TRIO panel formwork elements were used, and for the second concreting step then TRIO elements on SKS 180 climbing brackets.